Collision Records duo Dre Murray and Alex Faith teamed up to create music’s first ever visual album, Southern Lights: Overexposed. Using the visual aspect can really allow an artist to tell a story through more than just the song, which can be a huge plus. They just have to make sure not to slack on the sound while they’re at it. The album is released for download on April 28th, but you can watch the video with the music now. The EP combines two very talented rappers, as well as some features you’ll probably recognize. Let’s see how well they can come together. The first track on the album, “Overexposed” (feat. Sean C. Johnson) starts with two masked men jumping a man at his house. Alex Faith starts with a really cool verse that is highly focused on the vocals with a bit of bass and treble. A man, Eric Young, is seen trying to run and stop the attack as one of the men puts a gun to the head of the victim, who is his brother. As the music slows and softens to singing a flashback is shown to explain the attack. The verse following with Dre Murray rapping isn’t as good as Alex Faith’s start, but it’s still well done. Both rappers are talking about different problems and how Jesus is the only solution. A gunshot is heard as the song ends. It’s a great track to start, and the album is showing potential. Next up, Dre Murray steps up with a cool slower style in “All Around the World” (feat. Tragic Hero). The treble focused beat fits Dre’s style as he says, “You know what I’m about, reppin’ my king when I open my mouth”. Tragic Hero jumps in next with an awesome hook and Alex Faith finishes with another dope verse. The smooth beat and flow in this one make this track a great one to cruise to. When “Wake Up Music” (feat. Swoope) started, I knew this is going to be a great one. The track focuses on the problems in black neighborhoods, and how the news won’t say anything about it. The refrain says it well, “Take a look at my face, when you look at me, do you just see my race, in America, just trying to find my place… are you listening America”. It’s a deep track about important issues that are often overlooked. For a little bit of an extra impact the video shows a man sitting on a bench contemplating suicide as well as other black men shown with a bullet through their head. All three rappers are intense, and the beat adds to the intensity even more. “Money” (feat. Reconcile) speeds things back up a bit. The track is about money in general, but the video shows the specific aspect of drug trades. It’s a quicker track and Alex Faith seems more comfortable with that style than Dre Murray, but they both do well with it. The video also shows a cop who doesn’t arrest a woman, Young’s sister, during a drug bust because it’s implied in an earlier video that she’s his girlfriend. The story continues as Eric Young again becomes the focus of the story. “City of Nightmares II” (feat. Ada-L) shows Young’s nightmares as he couldn’t save the man who was shot. The song itself has an element of swag to it, and the flow is great throughout. The video definitely adds a ton to the track and both rappers have some cool lines, though there are a few awkward moments in Alex Faith’s verse. The track itself is awesome, but the video is fantastic in adding that extra impact. After Dre Murray’s interlude, which involves a corny scene near the end with Young seeing his brother’s face in a shop window, “Decatur Street Blues” (feat. Corey Paul) begins showing the murderer in tears after the attack. Alex Faith really is amazing in the first half of the track and refrain, and the only thing taking away from his rapping is the bass sounding a little off at moments. Jack, the policeman from earlier, is shown as the murderer’s accomplice before the attack as well. Musically, Corey Paul’s verse isn’t really anything special, though he does introduce a different sound, which is nice. At the end of the track the murderer is seen with a gun to his head, and a gunshot is heard again, making the connection back to “Wake Up Music”, where his dead body is seen. Another good track, “Forever”, shows Jack realizing he helped kill his girlfriend’s older brother. The track is another really good one, though sounds a lot like the rest of the EP. Jack drops a photo of himself and the murderer together, and Eric Young finds it. Dre Murray starts the first verse of “Takin’ Time” (feat. Young Noah) referencing Ephesians 6:10. Young is seen pushing Jack to the floor after chasing him down, and he is holding a gun. He sees his dead brother who tells him not to kill him. He drops the gun, and is seen after thanking his brother at his grave. 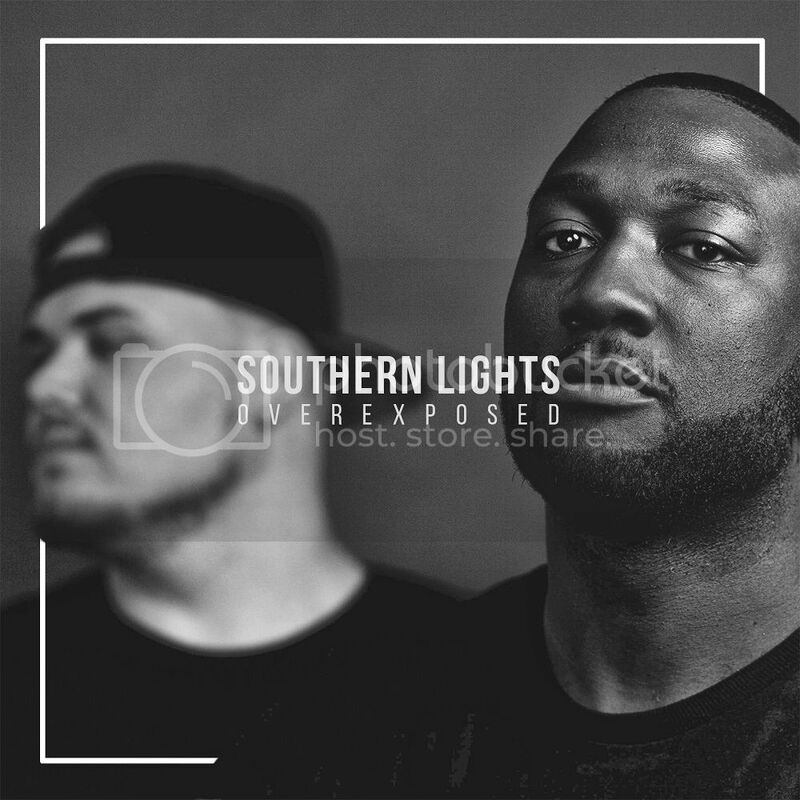 As the first of its kind, Southern Lights: Overexposed is extremely well done. The message from the video is a deep one, and the music meshes with it to create one great experience. The music itself is awesome, even though a large amount of it sounds very similar. I didn’t know what to expect honestly going into this one, but Alex Faith and Dre Murray teamed up well, and Collision Records deserves some praise for doing a fantastic job with the album. It’s not easy to break barriers and be the first to do anything. This will definitely be album to grab once it comes out on April 28th. Southern Lights: Overexposed is available for pre-order on iTunes and will be available for download on April 28th.